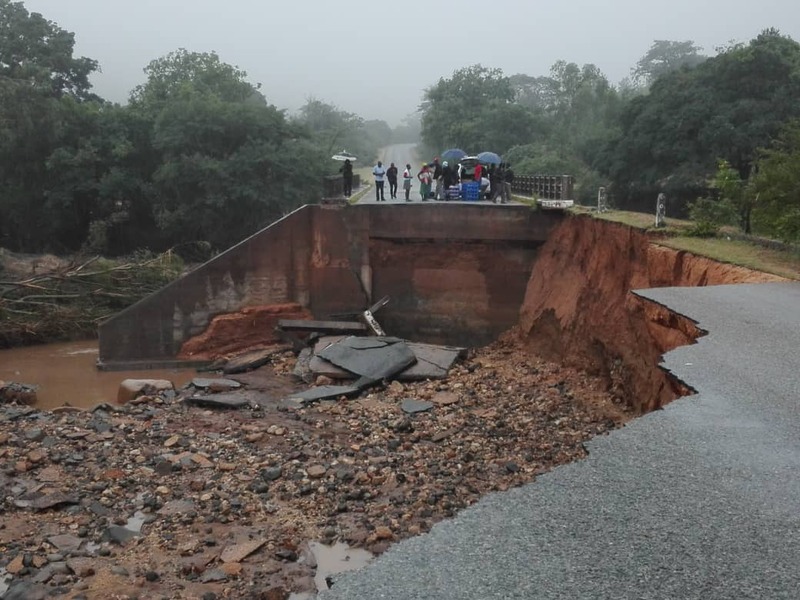 Government has availed RTGS$50 Million from the 2 percent intermediary tax towards the rescue, rehabilitation and restoration of infrastructure and services in Manicaland province following the devastating effects of cyclone Idai. As of last night, the official death toll had reached 98 with 217 still missing while 42 were still marooned according to the Ministry of Information, Media and Broadcasting Services. In a statement yesterday, the Minister of Finance and Economic Development Professor Mthuli Ncube said fiscal consolidation measures put in place by Government were paying dividend. “The funds have been allocated to the Civil Protection Unit , Department of roads, Education, Health, Water and Sanitation and Electricity. We applaud the efforts of Zimbabwe citizens , companies, civic organisations, international partners in our collective efforts and showing unwavering support to our fellow citizens suffering from devastating force of #CycloneIdai. Working together we can,” said Ncube. Of the RTGS$50 million, RTGS$25 million will be channeled towards the department of roads, RTGS$7.2 million towards rehabilitation of rural feeder roads, RTGS$4.8 million to water and sanitation, RTGS$4 million to education, RTGS$3 million towards health, RTGS$3 million to the Civil Protection Unit and RTGS$1 million for electricity restoration. The controversial tax faced widespread criticism from various quarters but is gradually assuming buy-ins in recent months as it has started bearing fruits. In a recent Government progress report on economic reforms, the finance minister projected that the 2 percent tax will yield RTGS$600 million to the fiscus by year-end. Economic experts like Pepukai Chivore have applauded the 2 percent tax as the only reasonable way government can sustain its dwindling revenue books in the interim. “The economy is largely informal, and there is no way government can be able to put in place tax systems to gainfully tax the informal activities on the market. The 2 percent tax will thus go a long way towards expanding the tax net,” he said. Observers have however criticized Treasury for failure to establish a well financed emergency disaster fund.